You are currently browsing the category archive for the ‘20th Century Classics’ category. An element of self-indulgence will doubtless be suspected in the last couple of writers I shall include in this series, though I feel there are good reasons for including them. In the first place, they represent genres that are a significant part of English letters, in the one case travel, in the other history. Secondly, they have interesting literary connections, of different sorts, and also exemplify factors I have found recurring again and again in the biographies of the writers I have included in the series. 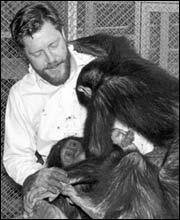 To begin with Gerald Durrell, he belonged to what used to be termed an Anglo-Indian family. In the old sense that meant Britishers who worked in India. The same was true of George Orwell (who like Durrell was born in India) and Terence Rattigan and of course Kipling. Writers who spent time in India, many of them writing about the country, included Forster and Simon Raven and Paul Scott and Ruth Prawer Jhabvala, and of course the Indians, Naipaul and Rushdie and Seth. I realize that there are only two writers in this series who were born after 1950, and one of them is Vikram Seth, for whom I had to make a special case to show that he could be considered a British writer. 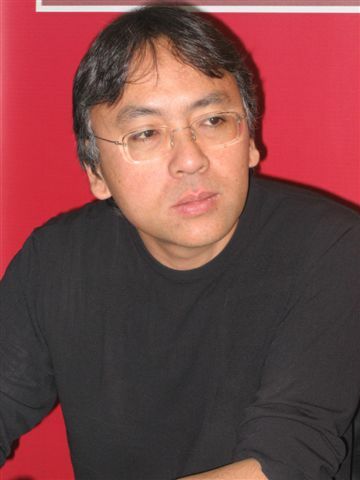 The only unquestionably British writer on the list then, in spite of his Japanese origins, is Kazuo Ishiguro. This is not really special pleading on the part of an Asian because I note that, when in 2008 the Times published a list of the ‘50 greatest British writers since 1945’, Iain Banks was the only such young , unquestionably British, writer of prose, apart from J K Rowling. The other two born after 1950, all three in fact in 1954, were Ishiguro and Hanif Kureishi. This may have to do with the fact that writers will take time to establish a reputation but, given the early successes of many writers earlier in the century, perhaps one should also wonder whether there is simply less talent around. Like the lady who married Vikram Seth’s great uncle, Ruth Prawer was a Jewish refugee from Hitler’s Germany. However the Indian she married, a Parsi architect, returned to India, so that it was as an Indian that she established herself as a writer. Indeed The Householder, her best known novel before she won the Booker Prize, had an emphatically Indian subject, a young man who takes time to fall in life with the wife to whom he had been married by arrangement. Much of her work however was British in subject matter, if not in outlook. Esmond in India for instance is about a Englishman working in India after independence, who nevertheless behaves as though he could get away with anything. He is married to an Indian, but has an English mistress, and also takes advantage of various Indian women to whom his race marks him out as something special. Jhabvala’s exposure of a certain type of Englishman abroad, after Empire but with a sense of privilege, parallels Paul Scott’s account of the same phenomenon in a brilliant vignette in The Jewel in the Crown. 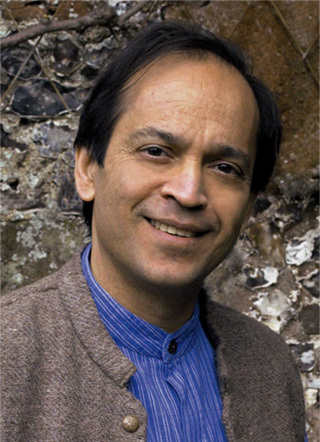 Vikram Seth is arguably an odd writer to figure in this series of outstanding British prose writers of the last century. In the first place he is Indian and he did not stay on in England after his education, unlike Naipaul, an Indian who grew up in Trinidad but has since lived in Britain. Whereas Naipaul settled down in England after his undergraduate days at University College in Oxford, Seth (who was at Corpus Christi College) went on to America for graduate studies in economics, did field work in China, and finally returned to India to settle down. Secondly, while I have not excluded books that deal with the colonies, the others I have looked at are concerned with the colonial or post-colonial experience, and Britishers figure largely as protagonists. Seth’s best novel, on the other hand, A Suitable Boy, is emphatically about Indians in the period after independence. So, brilliant though it is, that alone would not have been reason enough to include him here. And then, his first novel, The Golden Gate, was not only set in San Francisco in California, the opposite end of the English speaking spectrum from England, it was also written in verse. Besides, of his major prose works of non-fiction, one is a travelogue about China, and the other an account of his great-uncle and his German Jewish wife. 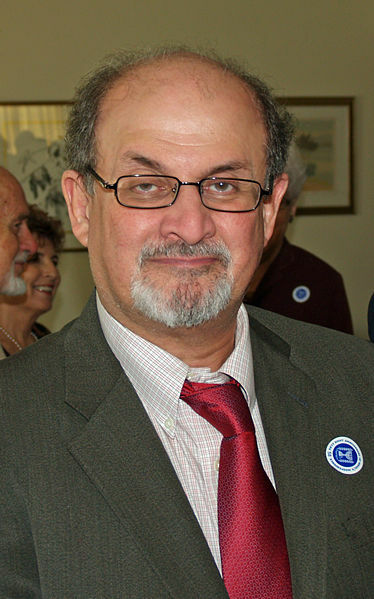 Probably the most influential British writer of the latter part of the 20th century was Salman Rushdie. Midnight’s Children, which won the Booker Prize in 1981, was later twice awarded the Booker of Bookers as being the best work in the 25 and then 40 year history of the prize. There was really no questioning of this decision. The work also firmly established in the mainstream of English writing the technique known as magic realism, which in essence turned the notion of fiction on its head. Whereas normally writers make up stories that follow the normal rules of life, so as to represent reality, magic realism breaks those rules, and in effect uses magic to increase our understanding of life. For this purpose it ignores the rules of real life, while sometimes introducing actual people and happenings into the text. Perhaps the least well known writer I am including in this series is Simon Raven. My view that he should be here is governed by my predilection for sagas, as begun most notably by Anthony Trollope in the 19th century, with the Pallisers, which was turned into a successful television serial in the seventies. The screenplay was by Simon Raven, who was in the midst then of his Alms for Oblivion series of novels, that covered a selective section of British society after the War. 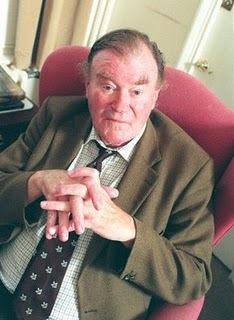 Before that there had been Galsworthy’s Forsyte Saga, which dealt with the period around the First World War, and then Anthony Powell’s Dance to the Music of Time, which looked at the generation which grew up before the Second World War, and had to cope with a radically changed world afterwards. Raven’s series achieved nothing like the same stature, perhaps because it dealt with what seemed a very small world. However, the worlds of the other writers of sagas had also been small, it is simply that, with each generation, the influence of that small world had lessened, as society became more diffuse. And, though Raven’s characters are more resolutely dissolute than those of his predecessors, I would suggest that he also draws attention to a characteristic phenomenon of the period after the Second World War, not exactly a decline in morals but rather the developing acceptance of the doctrine that anything goes. Within that framework, I should note, Raven does show several individuals striving to live up to their own idiosyncratic, if not necessarily high, standards. 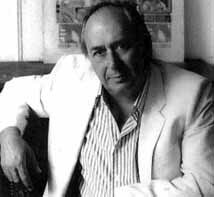 Arguably the strangest writer to be included in this series is J G Ballard, sometimes described as a writer of science fiction, though his work hardly fits into that genre. In fact his best known book, The Empire of the Sun, is a traditional novel, based on a seminal episode in his own life, when he spent a couple of years in a Japanese internment camp. This was in Shanghai, where his parents had been working before the Second World War. 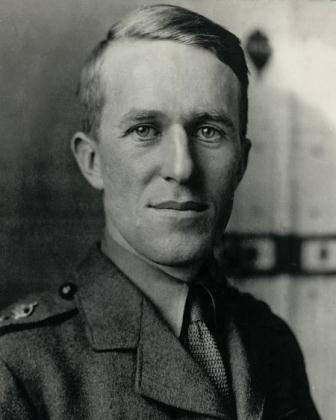 It has been argued that the oppression Ballard experienced as a child during this period – he was 13 in 1943, when the Japanese took over the International Settlement in Shanghai, which had hitherto thought it was sacrosanct – contributed to the violence that is endemic to his work. He himself however said that, though there was brutality, the children also had fun. Certainly that book seems to me the least dark of the novels of Ballard that I have read. In presenting the whole experience emphatically through the eyes of a child, and indeed removing his parents from the action for most of it, Ballard conveys also a sense of the innocence that governs responses to the violence and suffering that have to be endured. There is also a wonderfully human element in the boy’s relationship with the Japanese soldier who responds as the youth he still is to the demands of the youngsters he is supposed to control. The description of his dead body, when finally the camp is liberated, is dispassionate, but also moving in its reminder of the random destructiveness of war. 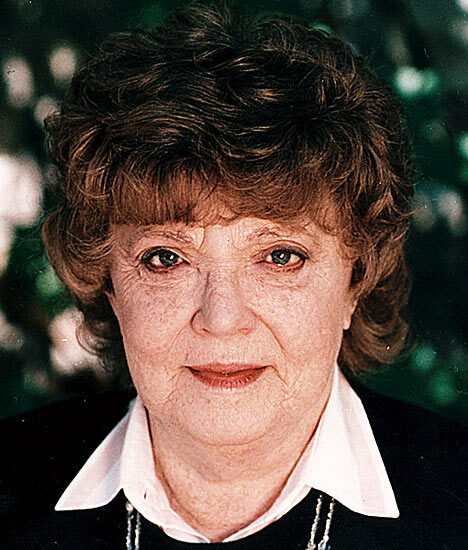 Amongst the more bizarre talents that emerged in the fifties was Muriel Spark, who will continue to be considered a Scottish writer even though she seems, as decreed by Samuel Johnson two centuries previously, to have decided that the noblest prospect a Scotchman ever saw was the high road that led him to England. In 1937 she followed her husband to Rhodesia, only to leave him three years later and return to England, to work in intelligence for the rest of the War. 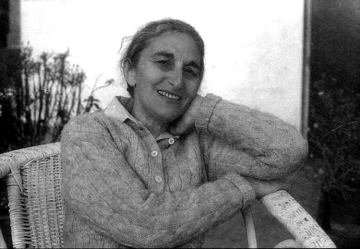 She moved to literature afterwards, as editor of the Poetry Review, and published her first novel ten years later, in 1957. Before that she had become a Catholic, which seems to have been of seminal importance not only for her life, but also for her writing. Her Catholicism seems to have been sincere, but it did not preclude a healthy cynicism about life and institutions in general. Typical in this regard was her parody of the Watergate affair, the break in to Democratic Headquarters during the 1988 Presidential election, that led ultimately to President Nixon’s resignation, when it became clear that he had known about the act and had contributed to a cover up. A few years afterwards Muriel Spark published The Abbess of Crewe, about a similar act in a Catholic convent, and the intrigues of the Abbess to cover up the matter. The book is replete with splendidly sanctimonious justifications for more and more meaningless rituals of denial, with the Abbess constantly urging ‘Let us be vigilant’ to her flock. What might be termed that off centre approach to life characterized much of Spark’s early work. Most memorable was Memento Mori, the Latin phrase reminding us that we all must die, given sinister meaning when various elderly people receive mysterious telephone calls reminding them of their mortality. The mystery of how and where these originated is never solved, but as panic spreads and those who might benefit from death try to cash in on this, the weaknesses of the human psyche are laid bare, and the excessive impact of even the smallest determination of any individual to move beyond the accepted bounds of morality. 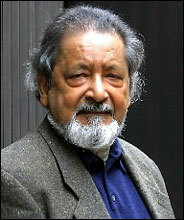 Undoubtedly the most controversial of novelists from the Commonwealth is V S Naipaul. For many years he was deprived of the Nobel Prize, largely it was rumoured because of the opposition of the doyen of Commonwealth literary studies in India, Prof Narasimaiah. This hostility, which I have heard the great man himself express forcefully, arose from the perception that Naipaul replicated the white man’s view of India, replete with contempt as much as criticism. This view was not based on his fiction, which had not dealt with India, but on his travel books, the first two of which had been unremittingly hostile. This approach changed in the third, A Million Mutinies Now, but by then Narasimaiah was not to be placated. Still, the Nobel Committee was, and in 2000, the centenary year of the prize, Naipaul received it, a fitting tribute in my view to the most impressive writer of English fiction in recent years. Naipaul’s writing career has spanned over half a century, and it is only in his most recent books that his inspiration has seemed to flag. Before that, he wrote brilliantly, and also managed remarkably to reinvent the subject and the style of his writing twice.